How strong is your Doctor Who trivia Kung-Fu? For one couple, it was strong enough to net them Â£325,000 on a British TV show. Sometimes, being a Doctor Who nerd pays off in more ways than being entertained with quality television. For a husband and wife team on the British game show Million Pound Drop, a recent trivia question about the popular sci-fi series left them disqualified from the show and without their winnings. However, it turns out that the team's answer was correct, something that was pointed out by legions of angry Doctor Who fans who called in to complain . The team, Johnny and Dee, were asked which actor played the Doctor for the longest period of time: Sylvester McCoy, David Tennant, Paul McGann, or Christopher Eccleston. Johnny and Dee split their Â£650,000 and bet on McCoy and McGann, whereupon they were told they were wrong; the host said the correct answer was Tennant. After the show aired, fans called in and complained, pointing out that - while he played the character for five seasons - Tennant was the Doctor for only five years. 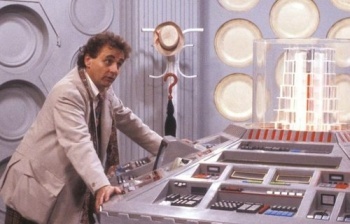 McCoy served as the Doctor from 1987-89 and then reprised his role in 1996. McGan played the Timelord from 1996-2005, "if you count all the audio plays he recorded during the time the show was off the air." The team is returning to the show, with Â£325,000 of their prize money restored, this weekend. As io9 points out, Johnny and Dee should have gotten to keep all their money, "since McCoy and McGann played the role for about nine years each."